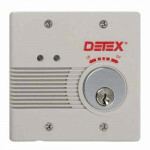 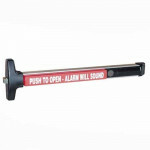 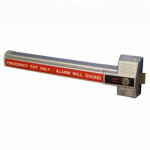 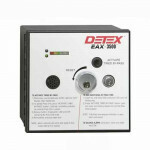 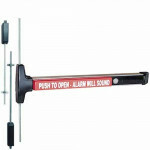 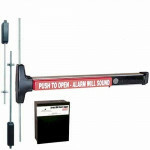 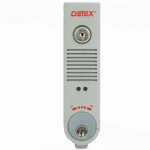 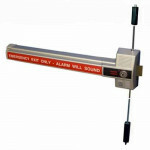 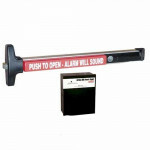 Detex EAX-300 - Battery Powered Door Propped Alarm The Detex EAX-300 Series is designed for appl.. 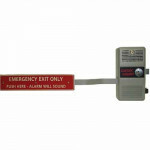 The Detex EAX-2500 Series Exit Alarm is designed for applications requiring a hardwired AC/DC alarm .. 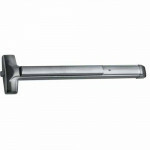 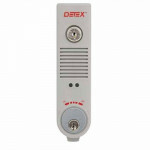 The Detex Grade 3 ECL-230D-PH is a Long Bar Exit Control Lock (deadbolt) is not only easy to install.. 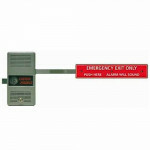 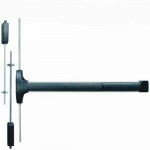 The Detex Grade 3 ECL-600 Warnock Hersey Labled Fire Exit with Long Bar is an Exit Control Lock desi.. 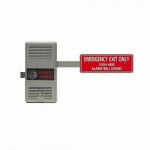 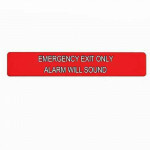 The Detex V40 EA Hardwired Exit Alarm Panic Hardware (25VA @ 12AC) is designed for primary and secon..
EA-561 Detex Sign - "EMERGENCY EXIT ONLY" - "ALARM WILL SOUND"
The Detex EA-561 Sign, “EMERGENCY EXIT ONLY” “ALARM WILL SOUND” is for electrified exits onlydimensi..
10 Advantex X 630 Rim Exit Device Only The 10 X 630 rim exit device is super-heavy-duty panic an..
Detex V50 EE, designed for primary and secondary exits, provides a secure 15-second delay and a..
V50 HD 628 96 Detex Surface Vertical Rod Device V50(value50)HD(Hex Dogging) 628(satin aluminum)9..
EAX-3500 - Timed Bypass Exit Alarm and Rechargeable Battery The Detex EAX-3500 is designed for a..